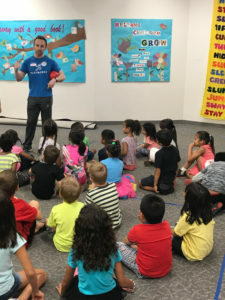 Nevada Medical Center’s Global Science of Play Institute partnered with the Las Vegas-Clark County Library District Foundation and Playworks to host play camps for children aged five to eight years old. The camps were held August 1st-4th and guided children through purposeful play. For more information about the science of play or to schedule an opportunity to discuss future projects, contact Kristy Keller at: kristy@moonridgegroup.com.